IMAX has released a brand new featurette featuring an interview with Avengers: Endgame directors Joe Russo and Anthony Russo. Despite the best efforts of movies like Star Wars: The Rise of Skywalker, this is probably going to be the biggest cinematic event of the year. Now, the Russo brothers are here to argue why we should all see it in the biggest venue possible. Moreover, they also just talk more about the movie on camera than we're accustomed to seeing, which is a nice way to help fans get through this last little chunk of waiting. Avengers: Endgame is only the second Hollywood movie ever to be shot exclusively with IMAX cameras, with the first being Infinity War. It features IMAX expanded aspect ratio, which means there is, quite literally, more of the movie for fans to enjoy. Sequences shot on IMAX, so in this case, the whole movie, when projected in an IMAX theater, show up to 26% more picture than what moviegoers see in standard theatres. Add in the audio benefits and it could be enough for fans to justify ponying up the extra dough. Joe Russo had this to say. "For movies like this with cosmic settings and larger-than-life characters, there is no better way to shoot it, and there's no better way to display it for an audience." His brother, Anthony Russo, added "The epic scale of these movies requires a canvas like that." They also talk about how so many people have great TVs and excellent sound systems at home now, making it tough to justify heading to a theater and paying for an experience like this. But they make it clear this movie was made with that in mind and, in their opinion, IMAX will maximize the potential enjoyment. Really, the main appeal of this featurette is seeing the Russo brothers talking about the movie, somewhat in-depth, in a short period of time. Avengers: Endgame has been so secretive up to this point that getting anything out of them is nice. Anthony Russo also talked about why they've tried so hard to avoid letting spoilers out, as they value the surprise of a cinematic experience. "We have to expend a lot of energy and time making sure we keep the information about the movie really controlled, focused and quiet because the pleasure that we get from experiencing movies for the first time in a theater, and not having anything tipped, it's just like, we want other audiences to have that opportunity." Unfortunately, some leaked footage with major spoilers already made its way online, so be very careful on social media. 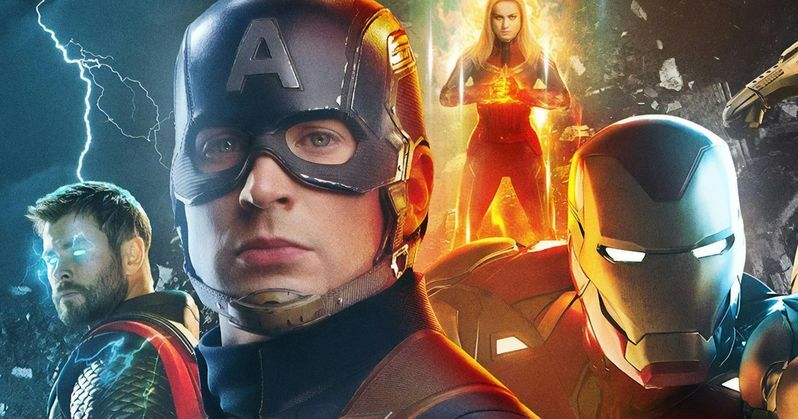 Marvel and the Russo brothers also recently launched the #DontSpoilTheEndgame campaign, penning a letter to fans asking them not to spoil the movie online until everyone has had the chance to see it for themselves. Avengers: Endgame hits theaters on April 26. Be sure to check out the video from the IMAX YouTube channel below.